Teen Athlete Training at CrossFit Beacon is designed to give middle school and high school athletes an edge on the field, turf, court, or diamond. While young athletes naturally gain size as they get mature, they can accelerate these natural gains through performance training. Beacon's holistically designed strength and conditioning program focuses equally on strength, speed, agility, and metabolic conditioning. 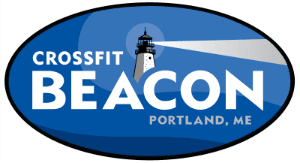 "Our two sons have been going to CrossFit Beacon for over a year now and we are thrilled with the results. The workouts are tailored to their specific needs and there is plenty of variety in the classes to keep them from getting bored. The results are quick and dramatic and they have not had any injuries because of the strong emphasis on correct form. CrossFit has enabled them to be more competitive in their sports and has given them a strong foundation for a lifetime of fitness." Teen Athlete Training classes are held Mondays and Wednesdays at 3:30 PM. Athletes must attend consistently to get optimum results. Participation in the program is on a drop-in basis. Please contact Coach Tyson for more information.